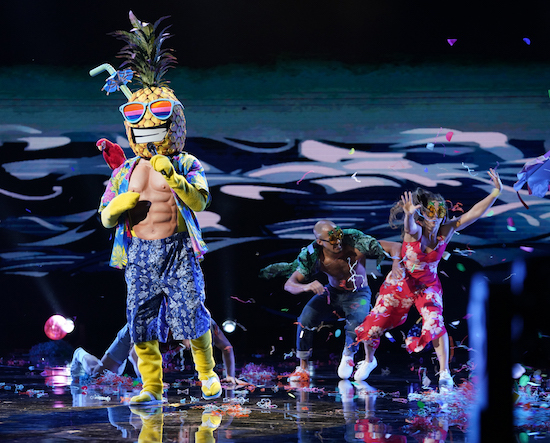 THE MASKED SINGER: Pineapple in the “New Masks on the Block” episode of THE MASKED SINGER airing Wednesday, Jan. 9 (9:00-10:00 PM ET/PT) on FOX. © 2019 FOX Broadcasting. CR: Michael Becker / FOX. Get ready for more insanity: Fox has ordered a second season of THE MASKED SINGER.